Soil off Route 66 in Oklahoma; photo by dotpolka on Flickr (noncommercial use permitted with attribution / no derivative works). 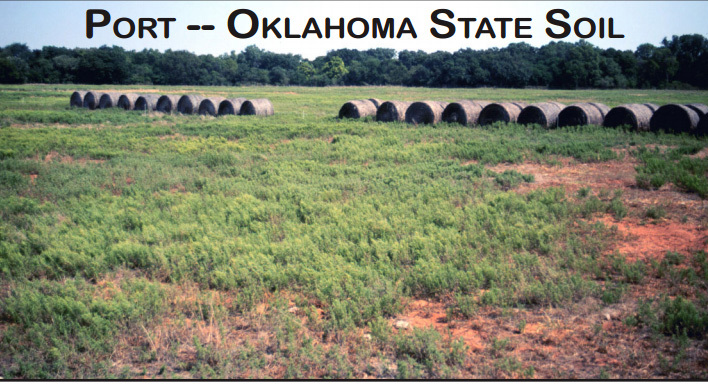 Port soils are found in 33 of the 77 counties of Oklahoma and make up about 1 million acres. These soils are found on flood plains (subject to frequent, occasional, or rare flooding) in central and western Oklahoma. Port silt loam is named after the small community of Port in Washita County, Oklahoma. Most of these acres are used as cropland to cultivate alfalfa, wheat, grain sorghum, and cotton. Some areas are used as pasture or rangeland. 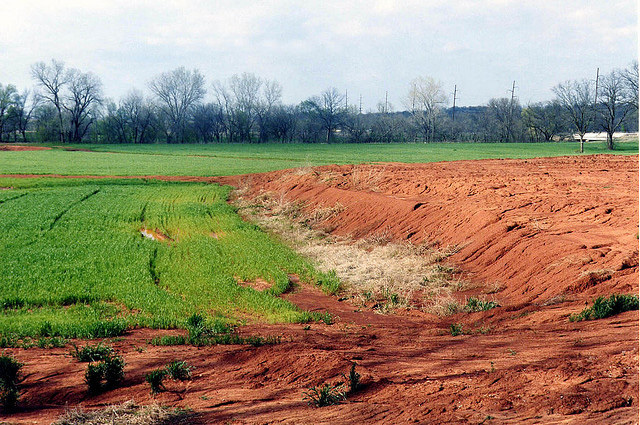 Port soil landscape in Oklahoma; photo courtesy USDA - NRCS. Map of port soil distribution in Oklahoma courtesy USDA - NRCS.